ICA West Africa held its 4th regional conference from October 28th to November 3rd 2018 at the Redemption Resort in Nigeria. This conference was a great opportunity to learn, share, strengthen the peer to peer approach and connect on the theme: ICAs for Greater Effectiveness and Sustainability West Africa. ICA Country Annual Report of activities. 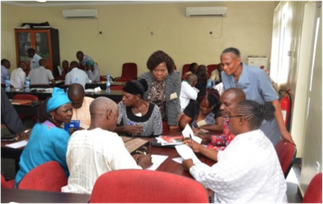 Review of the three-year strategic plan made in Togo. 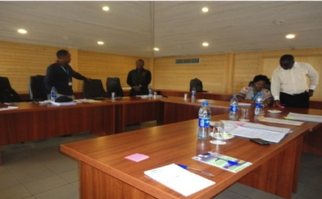 Review of ToP GFM Training conducted in 2017. Final review of the common project proposal. Using the SMART Advocacy Strategic Worksheet. Identify areas of strength and turn them to income-generating activities. Draw up the next one-year action plan. Presentations on NGOs financial sustainability, winning proposal writing tips, transparency and accountability mechanisms in line with international best practices and norms. Strengthen ICAs in ToP methodologies. Share individual and collective experiences in the last 12 months and celebrate each ICA. Review our three-year strategic plan, review our one-year action plan and develop the next one-year action plan. Discuss our way forward with our common proposal and action plan. The conference report will be published at the end of November 2018. 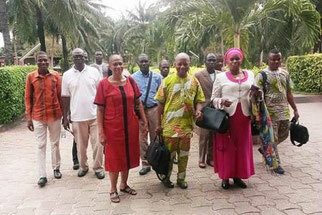 The theme of the week-long conference is “Re-Positioning West Africa ICAs for Greater Effectiveness”. Our desire is that all ICAs will be strengthened, renewed and re-fired for impacting the world around them in a greater dimension. 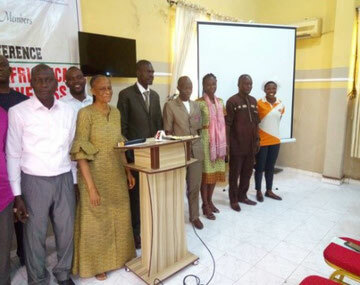 The event was held at the Redemption Resort, Diligence Road, Beside Redeemer High School, Redemption Camp, Km 45 Lagos-Ibadan Expressway, and all five (5) ICAs in the region were represented at the meeting.